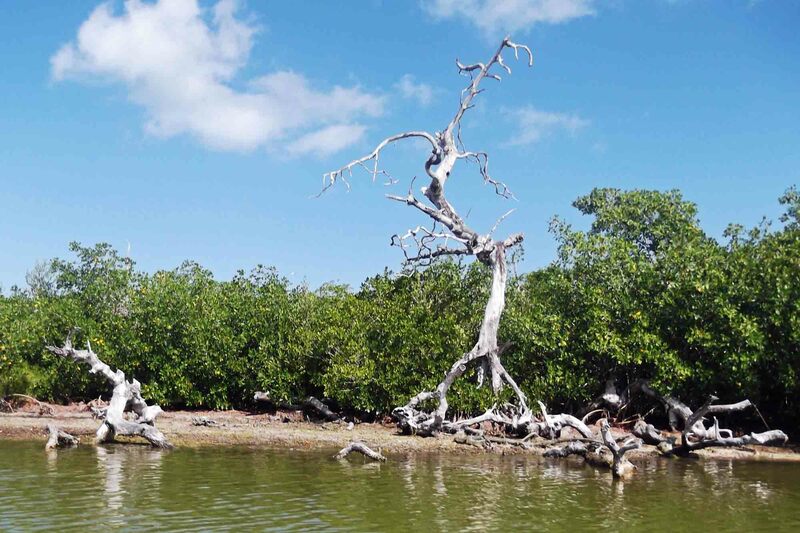 STE’s Holiday Editor, Tony Taylor, reports on a tour in Mexico. In January/February we like to find somewhere warm for a holiday, and this year decided on Mexico. We had been to the west coast of Mexico about 20 years before, Puerto Vallarta – Costa del Sol for Americans! 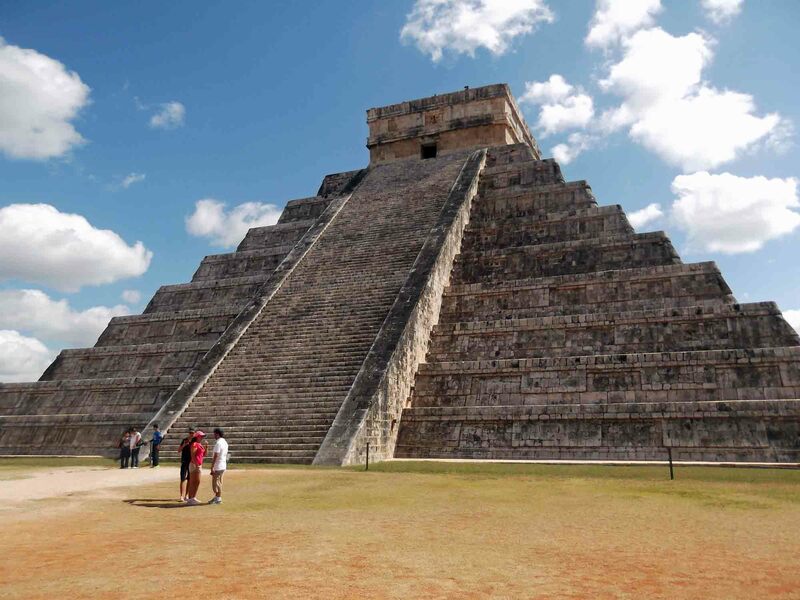 As we enjoy travelling and exploring a country, we chose to travel on what is now a TUI Tour, as this enabled a week travelling around the Yucatan Peninsula, followed by a week relaxing in an all-inclusive resort. The Yucatan Explorer tour was a seven night tour. We were met at Cancun airport and to our surprise and delight, found that we were the only two on the tour, accompanied by our guide/driver in a Mercedes 260. In TUI’s brochure it stated a minimum of six people, but our guide said it was actually a maximum of six. It took about three hours driving on new straight roads to our first hotel, the Chichén Itzál, where we stayed three nights. This hotel was the smallest of the three hotels on our holiday. The staff were friendly and helpful, but the stay was spoilt one night by a noisy fiesta in an adjacent street. The following day we visited nearby Chichén Itzá to see the spectacular Mayan city. Our guide, who was Mayan, was enthusiastic, knowledgeable, very pleasant and fluent in English. Personally we found the sites more interesting and impressive than the pyramids in Egypt. 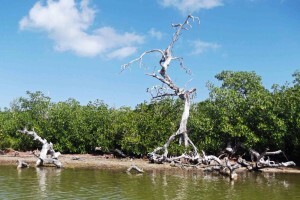 On day three we travelled for two hours to the nature reserve/mangrove swamp area of Rio Largartos. We had a relaxing two hour boat-ride and enjoyed seeing a wide variety of birds (all named by our guide), peaceful scenery and even three crocodiles. Maybe not surprising, as largartos means crocodile. This was a pleasing contrast to Mayan sites. 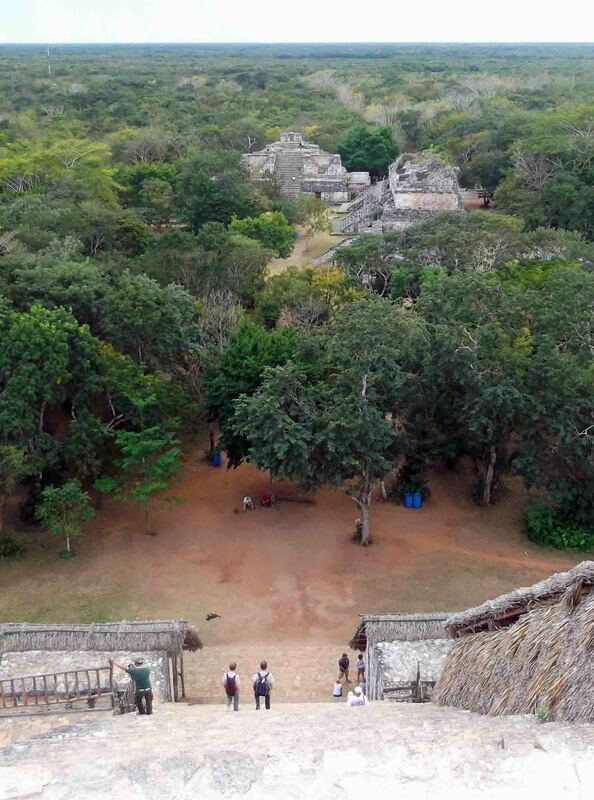 We broke the return journey at Ek Balam, another interesting Mayan site. Here visitors are permitted to climb the temple – which we did – very gingerly! It is steep, the steps are narrow with no room to sit and no hand rails, but the views from the top were fantastic. The next day we travelled to Uxmal, stopping at the cities of Izimal and Merida along the way, visiting their city centres. We stayed for the remaining four nights at the Uxmal Hacienda Hotel. This was larger than the previous hotel, but again the restaurant staff were very friendly and helpful – even assisting me with my limited Spanish, whilst we helped them improve their good English. The Uxmal site was just over the road from our hotel. 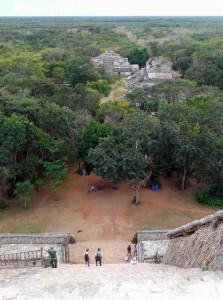 It was another amazing large site and the only other Mayan site where we were allowed to climb the steps, up the Gran Pyramide to the temple. Climbing up was no problem – but again coming down necessitated stepping down sideways due to the narrow steps. Senior travellers should bear in mind that at each site there is a lot of walking, although it is possible to opt to remain at ground level, and the temperature in February was 25+0C. The temple was interesting and well explained by the guide, with the top providing superb views of the site and countryside. That afternoon we chose to visit the Cocoa museum adjacent to the hotel. This was more interesting than anticipated, with a Mayan ritual demonstration, plants and animals on display, and of course the history of cocoa, complete with a preparation of delicious Mayan cocoa drinks. The next day we had a two and half hour drive to the colonial, fortified city of Campeche on the west coast of the Yucatan peninsula. This historic port, with its defensive walls, painted houses and seafront, provided a quite different experience on the tour. We also had a relaxed mid-day meal there. 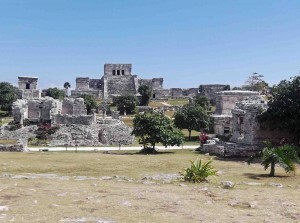 Three smaller Mayan sites were visited on the last full day of the tour. 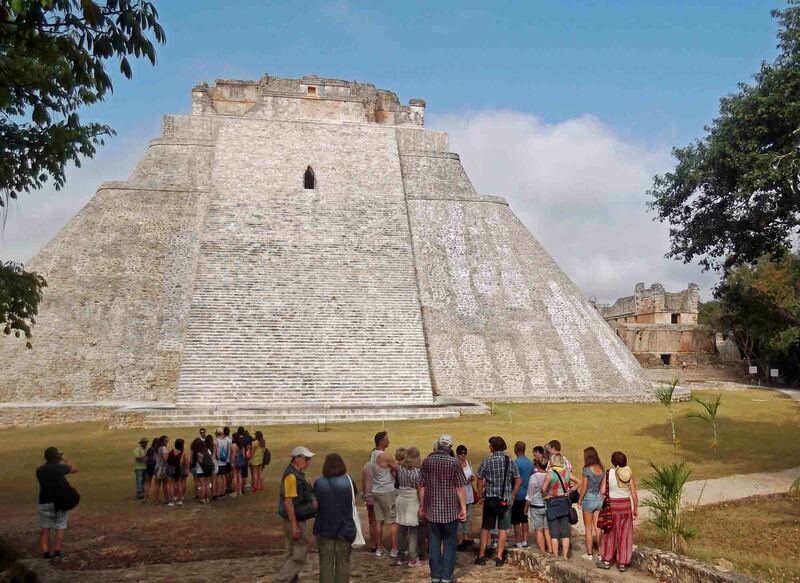 The following day we left Uxmal and were driven three hours to Tulum on the east coast. This Mayan site was more ‘touristy’ than the others, as it was only an hour away from Playa el Carmen and Cancun. The Yucutan Explorer tour included all travelling, entrance tickets, hotels with full board, but sadly no drinks with lunch and dinner. Strangely, there was a surcharge of £2 per day if you wished to use a video camera. The tour involved a lot of travelling, but was comfortable, and in our opinion, well worth doing. It seems that we had chosen a good time of year, as our guide informed us that the temperature in the summer reaches a very unpleasant, sticky 400C. We had opted to spend a second week at an all-inclusive resort, the Riu Tequila at Playacar, an upscale resort area of Playa del Carmen. It was a large resort, with accommodation in blocks of around ten rooms. It was well organized resort on a very smart site, and once again with friendly helpful staff. The food was ample, varied, and very quality considering it was mass catering. There were also three themed restaurants available in the evening – Mexican, Asian and steak – but these had to be pre-booked. For us it was a good way to relax at a pleasant 250C after a busy, but very interesting and enjoyable week of touring. You may also be interested in articles published on this site relating to Saga Holidays.